In order to purchase your Employee Feedback Report, you must first register for programme participation. Please click here to register. Purchase your Employee Feedback Report NOW and SAVE 10% off the price. 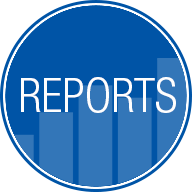 * This report details the results of your organisation's specific survey results to each of the 78 survey questions. The report also includes benchmarking as well as the employee comments transcribed exactly as submitted by employees. Similar reports can cost thousands of pounds if initiated independently.